As a green parent, you’re likely very familiar with the annual Dirty Dozen list that calls out the most pesticide ridden produce in the United States. 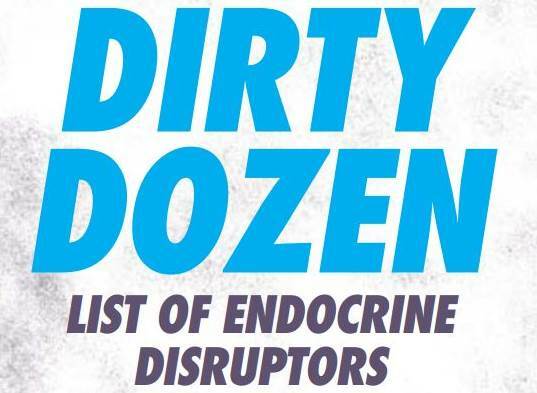 Now, there’s a brand new Dirty Dozen list which highlights the top 12 Endocrine Disruptors. This new list, a joint project of the The Environmental Working Group and the Keep A Breast Foundation was designed to educate consumers about some of the most problematic hormone-altering chemicals that people are routinely exposed to. “We were so thrilled to provide a grant to the Environmental Working Group for their work and research on this educational piece about endocrine disruptors in the environment,” said Shaney Jo Darden, founder of the Keep A Breast Foundation. Darden goes on to note that because scientific data about endocrine disruptors can be confusing, this info really needed to be broken down into a handy guide of bite-sized facts that can be easily understood by anyone, which will in turn allow consumers to make informed decisions about the products they buy and use. 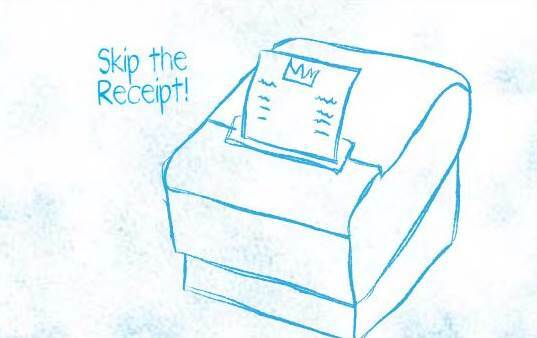 Keep reading to see the most harmful endocrine disruptors and to learn more about this list. Renee Sharp, EWG’s Director of Research, states, “We are all routinely exposed to endocrine disruptors, and this has the potential to significantly harm the health of our youth. It’s important to do what we can to avoid them, but at the same time we can’t shop our way out of the problem. We need real chemical policy reform.” The new Dirty Dozen list is based on the most current scientific literature available and it will help you identify the most hazardous and widely used hormone-disrupting chemicals. Why bother with the list? Endocrine disruptors are no laughing matter. Not only do these harmful chemicals disrupt the human body, causing health risks such as cancer, birth defects, lower sperm count, behavioral issues, lower IQ and thyroid disease, but they also pollute the planet, sneaking into our food and water sources. Right now, it’s hard to escape these disruptive chemicals entirely, so at the very least, the new Dirty Dozen list will help you avoid the biggest baddest offenders. What chemicals are the worst of the worst when it comes to endocrine disruption? More than just a blanket list of chemicals to avoid, this new Dirty Dozen guide lays out HOW you can more easily avoid these harmful chemicals with step-by-step tips and suggestions. You can check out the links below for more info or download the entire useful guide here (pdf). As a green parent, you're likely very familiar with the annual Dirty Dozen list that calls out the most pesticide ridden produce in the United States. Now, there's a brand new Dirty Dozen list which highlights the top 12 Endocrine Disruptors. This new list, a joint project of the The Environmental Working Group and the Keep A Breast Foundation was designed to educate consumers about some of the most problematic hormone-altering chemicals that people are routinely exposed to. �We were so thrilled to provide a grant to the Environmental Working Group for their work and research on this educational piece about endocrine disruptors in the environment,� said Shaney Jo Darden, founder of the Keep A Breast Foundation. Darden goes on to note that because scientific data about endocrine disruptors can be confusing, this info really needed to be broken down into a handy guide of bite-sized facts that can be easily understood by anyone, which will in turn allow consumers to make informed decisions about the products they buy and use. Keep reading to see the most harmful endocrine disruptors and to learn more about this list.